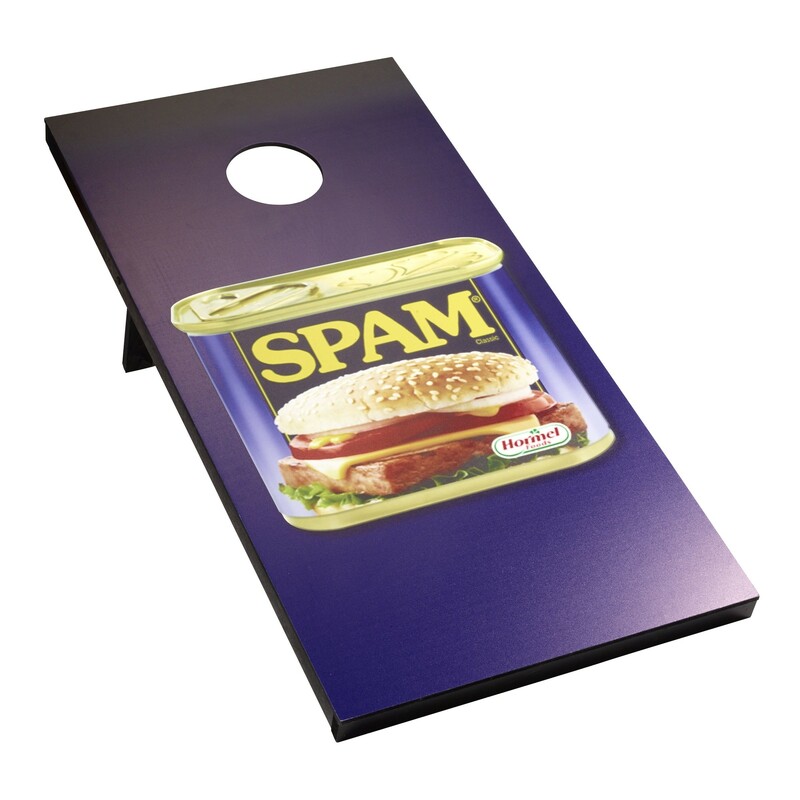 Be the first in your neighborhood to have the "Corn Toss" game with official SPAM® brand boards! Set of two 24" x 48" wooden yard board with round hole. Blue background with full color SPAM® Can in center. Included are four 6"x6" blue and four 6"x6" yellow corn filled bags for tossing.